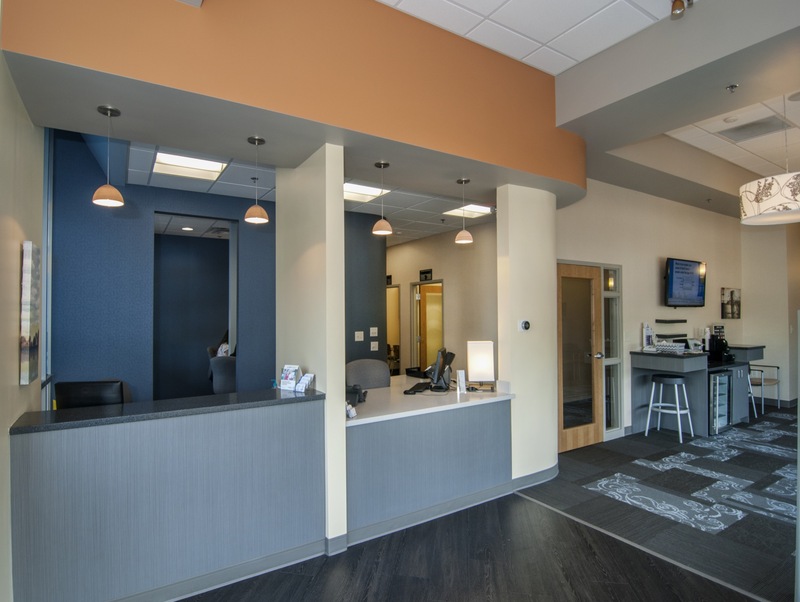 A newly formed medical practice came to us with a design request for a contemporary space that reflected their new brand. 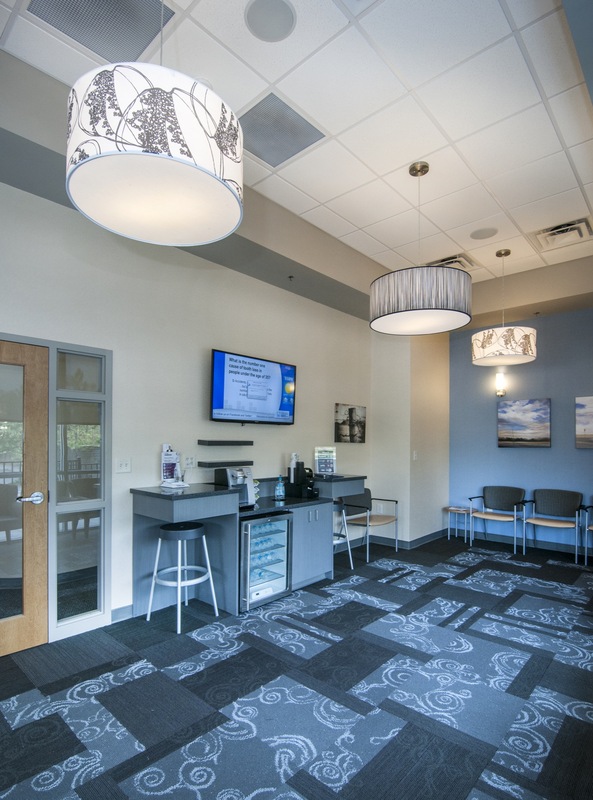 They wanted their practice to feel like a modern living space that nurtured its patients. 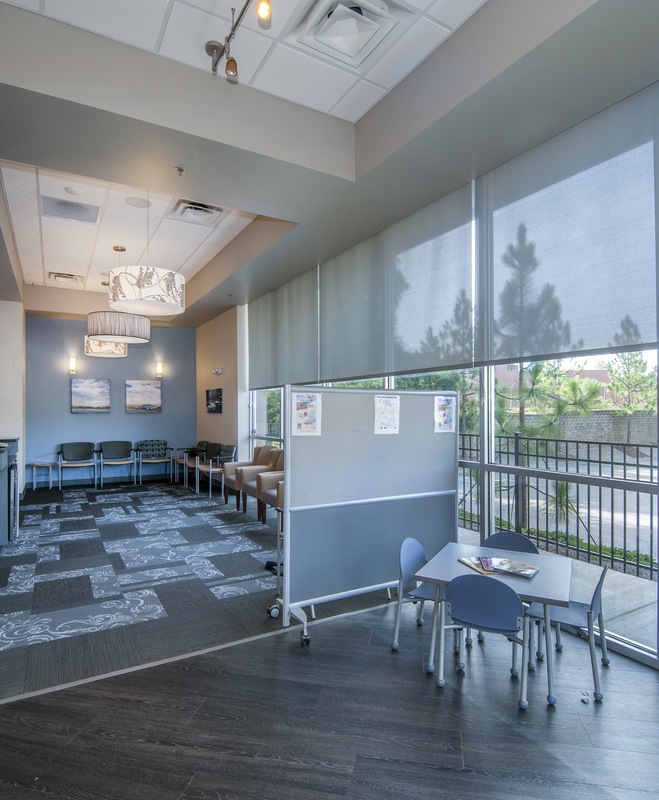 We used durable interior finishes and residentially inspired fabrics, light fixtures, and textures to create that effect. The blue that is essential to their brand identity was used throughout the space. Black accents were sprinkled within the space to add contrast the special hue of blue. 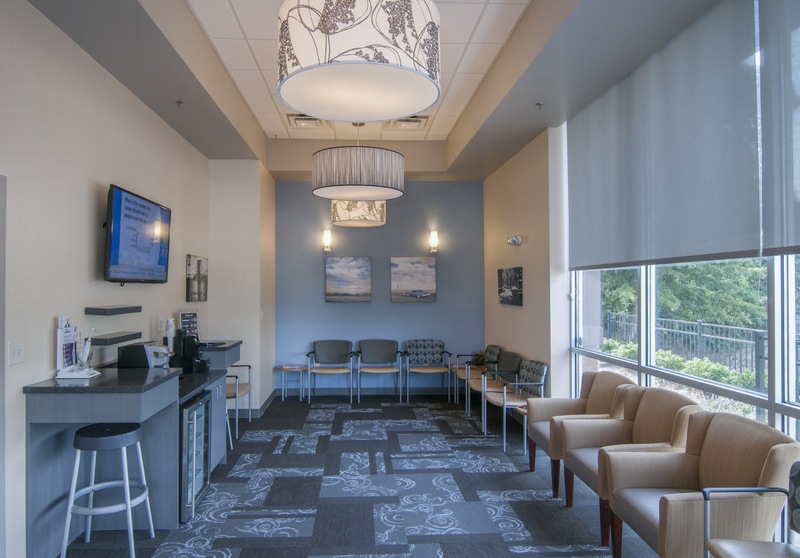 We have now designed five Carolina's Dentist locations: Spring Lake, Raeford, Glensford, Fuquay Varina, and Southern Pines. 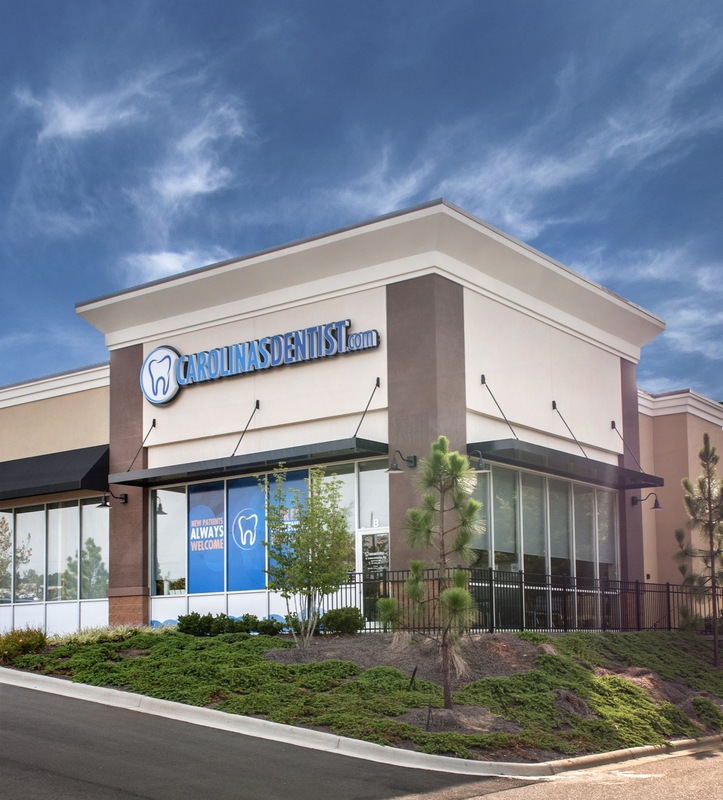 The unique brand is carried through the design of each branch, but each is slightly different in details specific to the surrounding location. For instance, the drum light fixtures were used to capture the essence of each location; while they were consistent in placement, the fabrics and design of each were unique to each location. The artwork package was similar, switching with each branch. The lobby art featuring cars in landscapes add character and reference to the surrounding environment. The black and white nature photographs used capture the region's habitat and reiterate the black accents in the space. 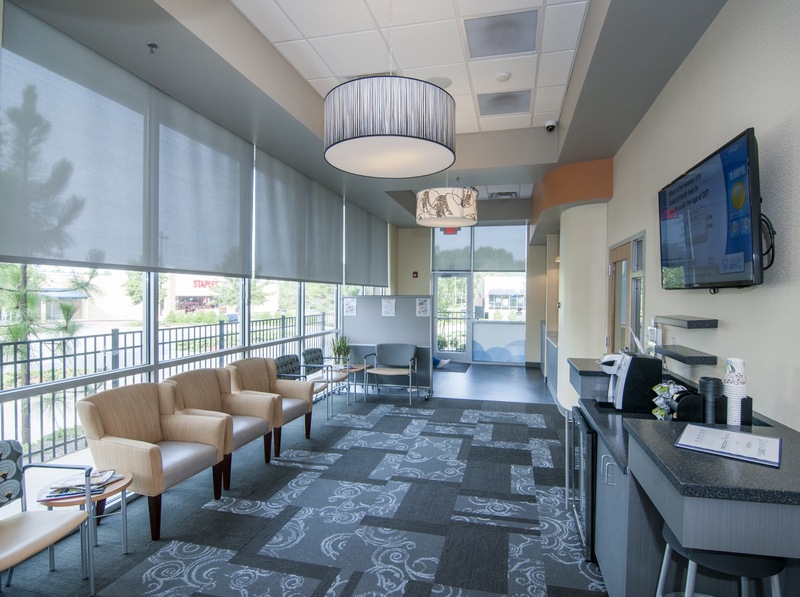 Warm wood tones in the LVT flooring softened the medical environment. We love the textural wallcovering used in the hallways. These had an embossed pattern that caught the light of the hall sconces and softened the environment. 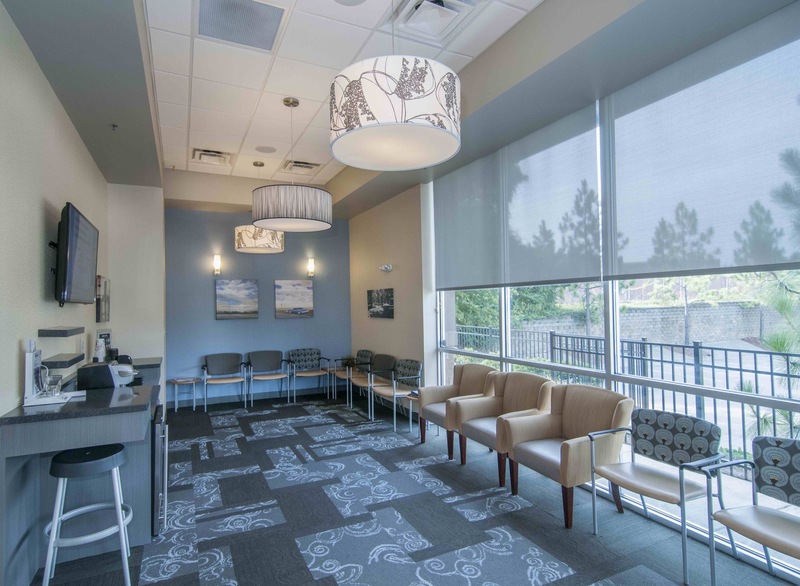 The unique Carolina's Dentist brand is carried through the design of each of the 5 branches, but each is slightly different in details specific to the surrounding location.